When can they start learning an instrument? 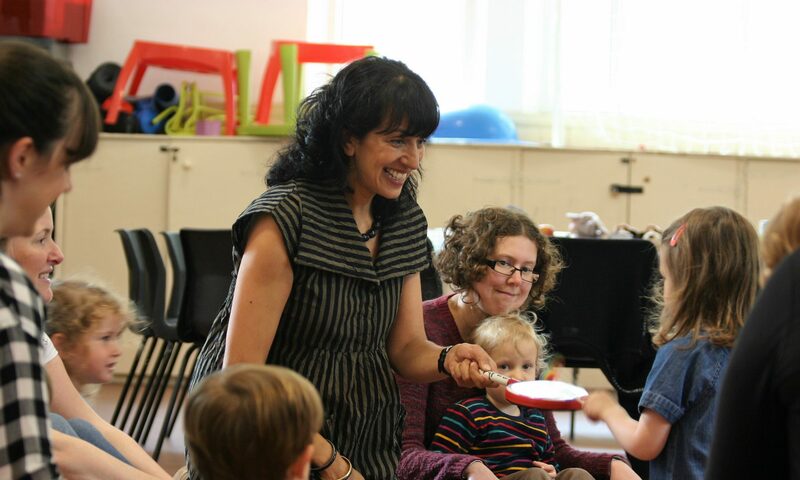 Songs and rhymes teach children fundamental musical skills and at every stage of the Colourstrings journey, children are taught new concepts which give them the basis for learning an instrument when they are school age. Colourstrings classes can be attended up to the age of P1 (and often P2) where they learn notation reading and writing skills. Experiencing music through song and movement is an enjoyable (and necessary) way to learn vital skills, so starting an instrument at P1 or P2 is a perfect age. Do I have to sing in class? If you feel a bit nervous, please don’t worry about singing – your voice is the best one for your child to hear! Songs are repeated in class and from week to week so gradually over time you can feel more comfortable with the words and tunes and join in when you feel ready. Fees are paid by the block. If you join half way through the term you pay pro rata. I have an older/younger child too. Can they come to class? All siblings are welcome. Usually, younger siblings attend the older ones class. Yes, it is possible to come and try a class. For older children (3yrs +) a 3 week trial block is recommended as some children need a little time to settle.